had a prior felony conviction for evading arrest or detention. We review a trial court’s ruling on a Miranda-violation claim under a bifurcated standard. rulings on application of law to fact questions that do not turn upon credibility and demeanor.” Id. of credibility and demeanor.” Alford, 358 S.W.3d at 653.
statement that does not stem from custodial interrogation.” See TEX. CODE CRIM. PROC. ANN. art. 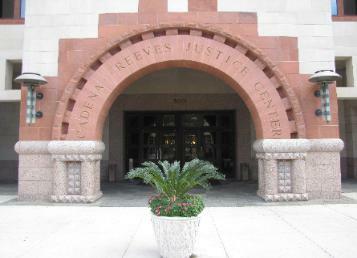 exclude were the product of custodial interrogation.” Hines v. State, 383 S.W.3d 615, 621 (Tex. App.—San Antonio 2012, pet. ref’d) (internal quotation marks omitted). suspect is under arrest does not automatically establish the suspect is being interrogated. See id. that Castilla was under arrest in and of itself does not establish he was being interrogated. See id. burden to show his statement was the product of an interrogation. See Hines, 383 S.W.3d at 621.
the trial court had ordered redacted. The video recording showed Castilla’s stationhouse interview. which it could have reviewed the video recording to ensure it was properly redacted. You are instructed that during the videotape, there is questioning by police officers. The questions that the officers ask are not offered as, nor admitted for, the truth of the matter asserted. That means that what the officers say or ask is admitted for the purpose of assisting you, if it does, to put the matters in context. When the officers are asking questions that assume facts, you are not to consider those questions as truth, but only as part of the interrogation and the context of the interrogation. Castilla’s request for a curative instruction. publication of parts of the video recording. We presume the jury followed this curative instruction. Castilla’s motion for mistrial. See Coble, 330 S.W.3d at 292. Outcome: We affirm the trial court’s judgment.